Adam Holmes, 36-year-old father of two from Telford, was out house hunting. It was a pleasant September Saturday afternoon, and our man cycles along on his bike. He cycles up a street of suburban semis, where he spots a few retired mature neighbours, chatting to each other over the garden fence. He leans his bicycle against a lamppost and launches softly into his property search. Adam, like many Telford people born in the late 1970’s to the early 1990’s, is keen to get a slice of prime Telford real estate. Yet people like Adam in Generation Y (or the Millennials as some people call them i.e. 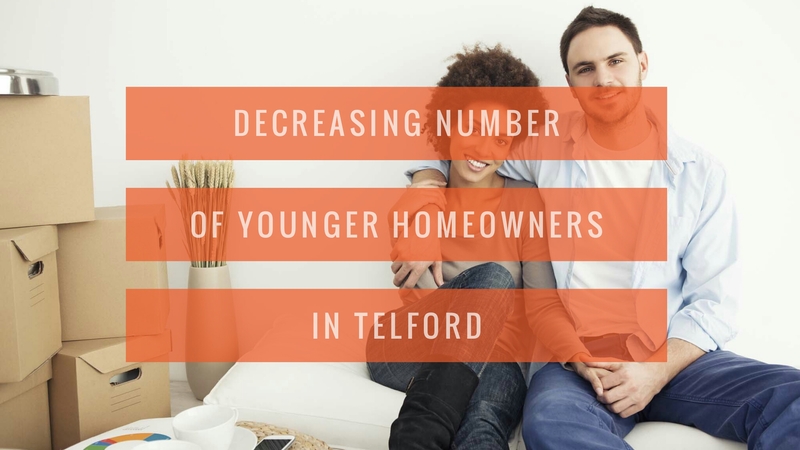 born between 1977 and 1994 and needing family housing now) are discovering, as each year passes by, they are becoming more neglected and ignored when it comes to moving up the property ladder. 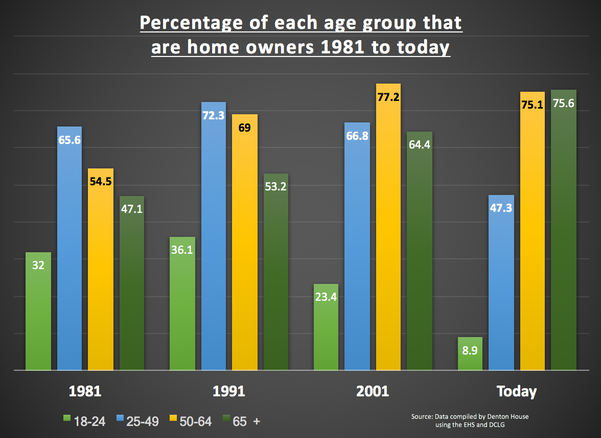 However, the biggest drop has been in the 18 to 24-year old’s, where homeownership has dropped from a third (32%) in the 1980’s to less than one in ten (8.9%) today. 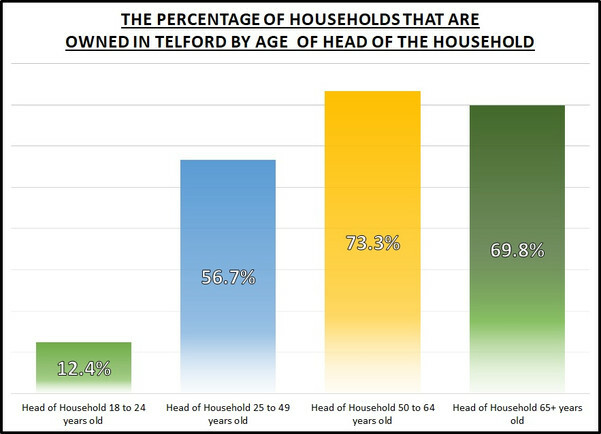 Looking at the Telford statistics, the numbers make even more interesting reading. So, what is my point? 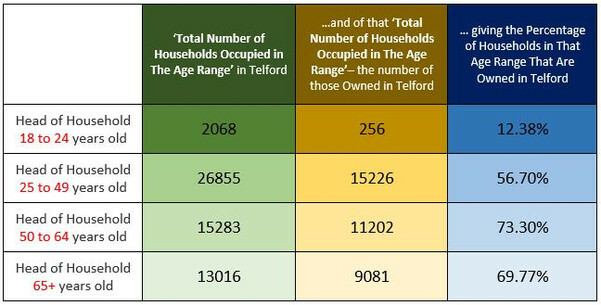 Well, all I would say to the homeowners of Telford is that one solution could be to start to talk to your local councillors, so they can mould the planners’ thoughts and the local authority thinking in setting land aside for bungalows instead of two up two down starter homes? That would free the impasse at the top of the property ladder (i.e. mature people living in big houses but unable to move anywhere), releasing the middle aged gridlocked people in the ladder to move up, thus releasing more existing starter homes for the younger generation. … and to you Adam … the wandering new home searcher – if things are going to change, it will be years before they do .. so keep going out and spreading the word of your search for a new home for your family.